Every year it seems something of a guessing game. When will the soil be truly ready for planting? If you jump the gun and plant too early, you may spoil the season’s harvest. Soil that’s absorbed lots of melted snow or April showers is too easily compacted by treading. It’s prone to transforming into dense clumps of tough soil once it’s turned over and dried under the sun. If you work soil that’s wet, its consistency may be destroyed for the entire season. On the other hand, you can’t afford to wait too long. Those seeds need to get in the ground before summer, after all! Checking your soil for readiness and preparing it for spring planting is actually fairly simple. The first thing to do is conduct a test for soil readiness. The tried and true method is this: scoop up a handful of earth, then squeeze the soil together so it’s about the size and shape of a tennis ball. Try pressing on the ball with your fingers, and/or dropping it to the ground from a height of about 3 feet. Does it shatter easily? You’re in luck. The soil is ready to be worked. If it maintains its form or breaks only with a lot of force, it’s still too wet for planting. 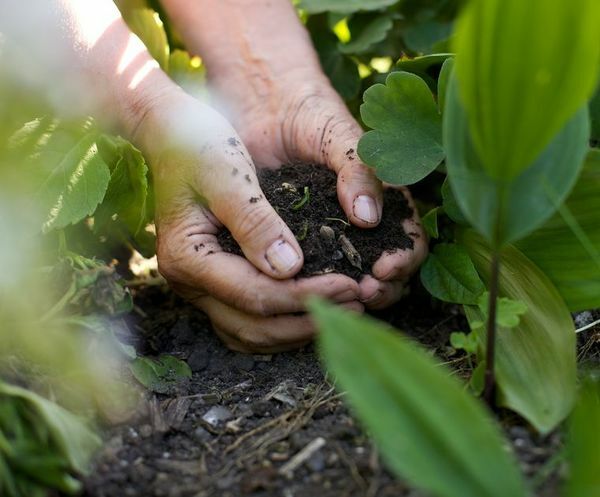 There’s no better time to amend and enrich the soil in your garden than spring. Amending soil gives it a boost in nutrients and improves its texture and aeration. Before you add organic matter, the soil must be sufficiently dry, thus it needs to pass the above test! Once it’s passed, clean up the area. Remove weeds and any plant material thatís cluttering up the garden. There are plenty of organic matter options that work well depending on the type of soil in your garden. Grass clippings, crushed leaves, sawdust, manure and compost are all have the power transform your garden and help your plants thrive. You should plan on adding a 1-2 inch layer of organic matter to your soil. If the earth in your garden is fertile and loamy, you can err towards the lower end and put down just 1 inch. Using a shovel or wheelbarrow, spread the organic matter over the earth and then work it at least 6 inches below the ground using a rototiller, iron form or shovel. That’s it! Now you’re really ready to work the garden and embrace spring’s arrival.